Go!Foton corporation, global leader in innovative fiber connectivity solutions, is set to showcase its award-winning line of PEACOC high-density fiber management solutions at ECOC 2018, Rome 24-26 September. 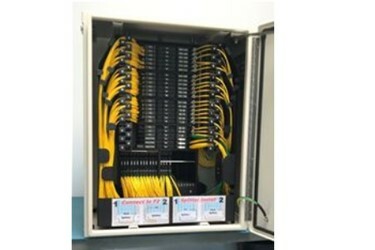 On display this year will be the newest member of the fiber management family, the PEACOC Fiber Distribution Hub (FDH). Extending the impact and reach of the company’s PEACOC platform, the FDH has been designed specifically to be utilized beyond central offices and data centers. The underlying platform which enables the FDH, PEACOC, is a revolutionary technology that simplifies the increasingly complex industry of optical connectivity. Award winner in the Lightwave Innovation reviews in 2018, the PEACOC is the industry’s first and only solution to allow for tool-less access for up to 144 LC simplex connectors. In addition to its growing portfolio of PEACOC fiber management products and solutions, Go!Foton will also display its broad array of passive optical materials and components including its NG-PON2 WM1 & CEx filters, xWDM modules, and PD products. Go!Foton provides a variety of innovative telecom and data center solutions for long haul, metro, and broadband access applications, as well as supplying optical materials and components to the imaging, medical, and instrumentation markets. A global company, Go!Foton has sales offices in the U.S., Europe, and Japan, in addition to R&D and manufacturing facilities in the U.S., Japan, China and in the Philippines. For more information, visit www.GoFoton.com.